Contact us if you wish to discuss a pickup for your instrument. 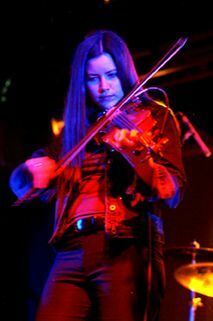 If An Acoustic Violin Is and Important Aspect of Your Image . . . If the look of an acoustic instrument is an important part of your image, we have some pickups that will work well for you. In fact, a special type of pickup (those made by Barbera Trasducer Systems) can be used to make an acoustic instrument, in effect, a proper electric violin. For those seeking an instrument with the look of a fine old violin, but the performance of a full-on electric violin, there is an even better choice. You will want to check out soon-to-be-announced new series of instruments by D. Rickert Musical Instruments that can best be described as electric violins masquerading as fine old acoustic violins.